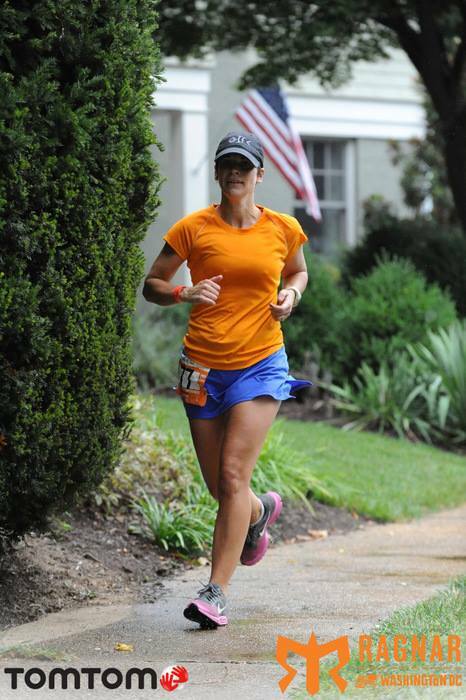 If you often run in our small town of Crozet, you’ve probably run with Kristen Hardy, knowingly or unknowingly. She (along with her husband Ned) organizes a weekly track workout every Wednesday at 5:30am at the Western track, as well as weekly Saturday morning runs anywhere and everywhere in our beautiful Crozet area. Kristen is a financial advisor, mother of two great kids, and a repeat Boston marathoner. To me, she is the face of community running. A few years before opening Crozet Running, I started a website and Facebook page called “RunCrozet” (now defunct), which was a very loosely organized way of getting the running community together in Crozet. 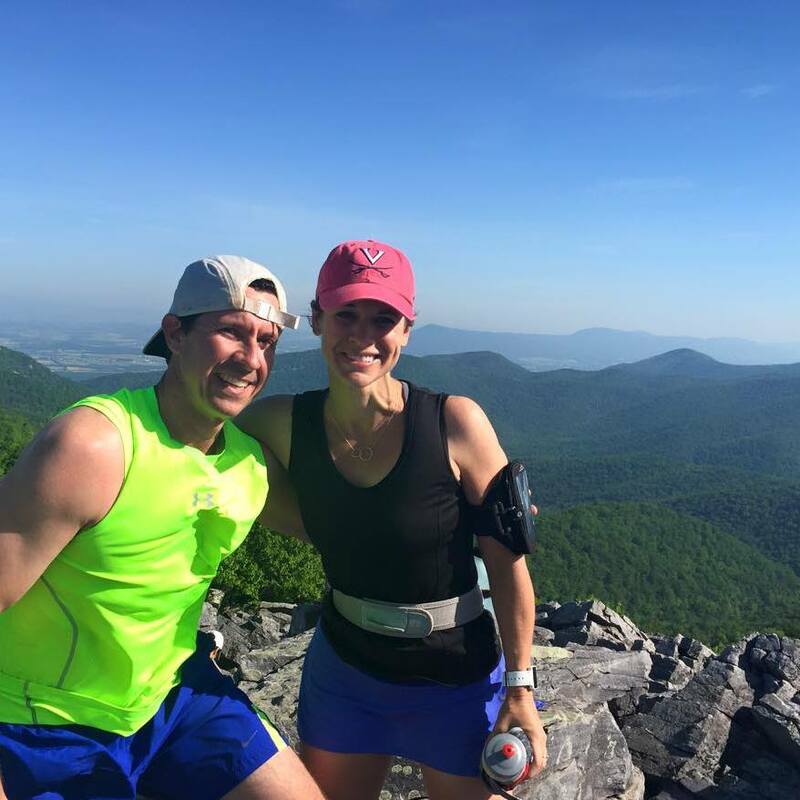 One of our weekly summer runs was running up the gravel portion of Jarmans Gap Rd up to Skyline Drive, a challenging 3-mile climb up the mountain, and then back down. One 5:30am morning, Kristen and her friend Becca showed up. “Hey Jeff, some ladies showed up!” I joked to my friend Jeff (it was usually just he and I). I quickly learned that Kristen’s marathon times crushed my own and we had to work to keep up with her and Becca up that hill. They came back the following week and we all talked about how we’d love to grow the Crozet running community, with a focus of encourgement, inclusion, and fun. JA: Thanks for the time Kristen! So you’re married to Ned and you have two kids, right? KH: Yes, I have two children; Ross age 10 and Ava age 7. When did you first start or get into running? I’ve always been pretty active, but viewed running as a means of getting from first base to second, or to get into position to set a volleyball. I was inspired by all the people I saw out running the Charlottesville Ten Miler my first year at UVA, so decided to train and run it the following year. I got pretty lazy after that, and didn’t run much until moving to Crozet about 6 years ago. My neighbor, Heidi Brown, pestered me into joining her on her morning runs until I finally acquiesced. I decided then that if I was going to get up a 5:15 in the morning to run it was going to be for a purpose, and signed up for a marathon. I went from zero running to three marathons that first year. I learned a lot about myself and running just from trial and error, and qualified for Boston with my third marathon. How did that change or evolve once your kids came along? I didn’t really start running until after having both kids and it has gotten more difficult as they’ve gotten older and have become involved in their own activities, which inconveniently (joking) happen on Saturday mornings when I’m trying to get a long run in. So, I had to get more quality runs in than quantity. 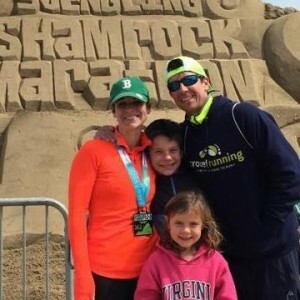 Your husband Ned is a fast guy who ran starting way back in high school – did he influence your running at all, or have you always done your own thing? Ned is pretty fast, and he is always my carrot. We’ve run a few half marathons together, and he pushes me past my comfort zone. Also, I am bound and determined to beat his 4-miler time. Healthy competition is a good thing in a marriage, right? So you’ve ran the Boston Marathon several times (how many?) and just recently requalified. I remember running at the track with you one time and you were telling me your typical running schedule and mileage. I must say, its much lower than what most people would think – tell me about your training and how you do well without the high mileage most people would assume you do? I ran Boston in 2012 and 2014, and requalified for 2016 at the Shamrock Marathon in Virginia Beach. I’ve had to adjust my training to make room for family and a full-time career. My goal is for my weekly mileage to equal my long run. In other words, if I’m running a 20-mile run on Saturday, then I will run 20 miles throughout the week. Typically, I run 4-5 days a week so this would look like: Sunday, 4-5 miles, Monday 3-4 miles, Wednesday 5-6 miles, Thursday 5-6 miles, Saturday 20 miles. If I have time, I’ll try to bump up my Wednesday or Thursday run to get in 8-10, but sometimes it just doesn’t work out that way…the snooze button wins, or someone is sick, or I’ve got to leave for work early, and I’ve learned that’s okay. I think it’s important to have a few quality runs during the week, and I focus on my Wednesday run (either track or hills) and my long weekend run, and the rest are really recovery. You and Ned both run – how do you guys balance this with raising and being present with your kids? Ned has always been very supportive. If I was going out for a run at 5:45, Ned would get up at 5 to get his run in and get back to be here for the kids. It means a lot of early mornings and early bedtimes, maybe a run during my daughter’s lacrosse practice. You make it work, if it’s important to you. We also try to make races into little vacations-for example, we extended our stay in Virginia Beach for Shamrock where the kids enjoyed some time at the beach, my daughter had a nice lobster dinner, and we went to the aquarium the next day. I think it’s important for the kids to come to the races to see us accomplishing something for which we’d been preparing for months. I like to think we are setting an example for them to lead healthy, active lives as well. What is one of the most important ways that running has affected your current life as a parent and professional? It serves as my quiet time, my therapy time, and my happy time. I cried crossing the finish line in Boston last year, thinking of those that were killed and injured at that exact spot. I ran over the Golden Gate Bridge this year! I’ll run in Key West next winter! Running has led to me to some pretty amazing adventures and friendships, and to believe that anything is possible if you put your mind to it. JA: Hey Marc! Thanks for the time. So how many kids do you have? MG: I have two beautiful girls, Lyndsey age 7 and Alisyn age 2 with my wife Lauren. You’re a Canadian. How’d you end up in Stuarts Draft, VA? I was an inline speed skater living in Canada but mostly competing in the United States. A friend of mine and I were at a competition in Florida when our coach asked us if we wanted to train in Colorado, we switched our one way plane tickets home to one way to Colorado and never left. Then 7 years later the team here in Harrisonburg/Staunton invited my coach and two skaters here to live and train with the team. So I packed up and left Colorado and moved to Virginia. You have been running trail ultramarathons around here for a loooong time. 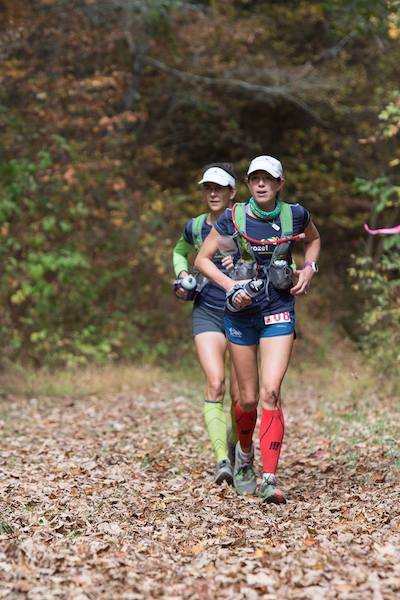 When did you first get into running and how did you get into ultramarathon running? I started running approximately 10 years ago. I was at an Inline Speed Skating marathon and the next day I saw there was a running marathon on the same course, since I was already there I decided to jump in and give it a try. I finished in 3 hours 50 min and change. When I got home I thought that wasn’t bad what’s next, so I found a 50 miler (Mountain Masochist 50 miler) Ran that and finished just under cut offs. 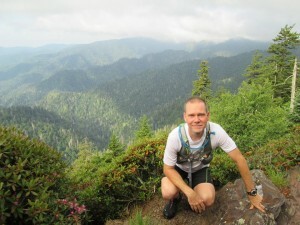 Again I thought that wasn’t to bad either, then I entered MMT 100 miler, that didn’t go so well. I had no idea what I was getting into, I had no water bottle, cotton socks, basketball shorts and Nike Shoxs for shoes. Made it 30 miles and had to drop from blisters, after that I was hooked. Decided to actually research races and started to train a little. Tell me more about the in-line skating you did in Canada. Is that something you started as a kid? I started at age 17. I went as far as I could in hockey and decided to switch over. I trained hard and won Nationals the following year. The next year I made the Canadian National Team and competed all over the world including Australia, France, Portugal, Italy and Cuba to name a few. I set 3 National indoor records which still stand today to my surprise with all the new technology and faster speeds. I enjoyed traveling and meeting all kinds of new people. It got me to see the world and travel to places I would have never even considered going. Even got to compete in the famous X-Games in Downhill Inline Speed Skating back in 1996 in Rhode Island, where we hit 62 miles an hour. So you run like 8-10 ultramarathons a year for the past 10 years and you don’t seem to get injured or laid up very much – is this just luck or do you have any tips or advice? I have been pretty lucky as far as injuries go, I think my last issue was a few years back with my IT Band. Sure I get the occasional tweak or pain here and there but usually I take a day off and then just run through what ever is hurting. I think some of it has to do with my Speed Skating and the training we went through, we had to work through and compete through a lot of pain and discomfort. Most of the time we were training 6 days a week 8 hours a day. So a lot of the time that is just what I do, just keep running and sooner or later the pain goes away. I know it sounds bad but it has worked pretty well for me. Ok, I have to ask about your cough – I remember being on a run a few years ago with you and I think you told me you have some sort of neuro-reflexive cough that the doctors can’t figure out – what’s the deal with that? And here you are doing ultra endurance sports?! – Does running make it better or worse? Running seems like a great way to say “screw you cough!” Yes that annoying cough! I feel bad sometimes for the people that run with me and my poor wife who hears it all the time. I have had it for 15 or more years. I have been to so many doctors and none of them can figure it out. Each had their theories but none of them worked. I even had surgery on my nose two years back, that doctor said this will for sure fix it, well I still have the cough. Some days are better than others, but its there all the time. It’s a dry cough that just happens every few minutes on a good day. On a bad day my abs hurt from coughing by bed time. The doctor now seems to think it has something to do with allergies, so we’re pursuing that now..
As a dad of 2 young children, what is your biggest challenge when balancing family life and running/racing? My biggest challenge is not missing the little things. As an athlete you want to train, train, train. Its hard sometimes when you get in a rhythm to stop and sit back and say you know I need to be with them and not run today. Luckily, I have the best Wife and Kids a guy could have, they support me and when a big race is coming up they support my training. 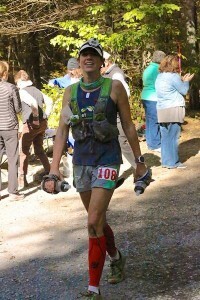 What do you girls think of your ultrarunning exploits? Well, Lyndsey age 7 likes it, she wants to run with me all the time. She loves when we go away for races, I think its more for the pool at the hotel though. Ali age 2 is still too young to really know what I am doing but it won’t be long! You have a pretty amazing resume of running – tons of races, lots of 100 milers…what’s next? What is next, very good question. I am going to try a multi-day race this year. Its 50 miles a day for three consecutive days, down near Hilton Head in July. So yes it will be hot. It is called The Cremator Triple. I am also going after a Guinness World Record this year which I’m not letting the cat out of the bag on that one just yet. Other than that I am going for my 8th consecutive Beast Series finish and also my 7th Grindstone 100 mile finish. I am sure something new will come up, it always does. I try and find the weird or unusual races, the ones that most people would never do, the ones that make you say, what the heck are you doing that for! Last question. You’re 39. You’ve been running ultras for 10 years, many of them the same races. But just this past year you’re setting PRs at all of them. What has changed? In the past, I was just running each workout, nothing really specific, just going out each day and doing the miles. In the past few years I started mixing it up with faster runs, speed work, hill repeats, things like that.. I also started running with faster people. I think I got the most benefit when I was running with two faster guys from Charlottesville quite a bit. I had to push myself to keep up which gave me a better workout. You can’t help but get faster chasing fast guys around all day! Thanks Marc! Great inspiration for consistent running and for improving performance, even after years of successful running! Ok, I can be accused of cronyism here because Donovan is a friend of mine. But he is a great example of picking up running despite some previous “chassis” problems, setting a goal and accomplishing it. 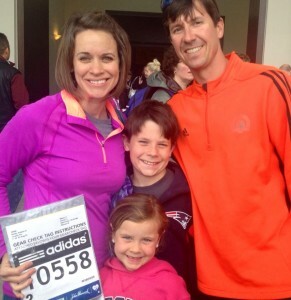 Donovan ran his first marathon in 2013 and just really nailed his training and his race plan. Donovan is an equine veterinarian and family man in his spare time, and seems to have “the balance” between fitness and family life dialed in well. JA: How old are your kids? DD: I have two daughters, Cecelia who is 11, and Calla who is 9. Happily married to my wife Ann Dagner. When did you start running? I ran track and cross country in High school until I broke my leg running hurdles, after that I ran sporadically for many years but did not run more than 4 miles until 3 years ago. You once told me about suffering a stress fracture during a high school meet – can you tell me that story again? Many years later, any lessons learned from that experience? The fracture was a stress fracture that presented as shin splints. The doctor recommended taking some Advil but was not concerned. Several weeks later I was in real discomfort and decided to sit out the next meet until the coach asked me to give him one race, the 400 hurdles, he felt like I had a real chance to win and that would give us the team victory. I ran my fastest race up until the last hurdle at which point my tibia gave out and fractured, and I was done. That experience taught me to pay attention to what your body is trying to tell you during your training. Competitive juices will allow you to push yourself beyond your limits on race day so you have to have confidence in your training if you want to stay healthy. You ran your first marathon last year and I have to say, it sounds like your training and execution went right as planned. What did you learn from that experience and what do you think you did right to keep you on track? My first marathon was Richmond in 2013. I had run the 10 miler in the spring and that was the extent of my adult race experience, so I was nervous about my training. A marathon was daunting to consider. For me a marathon was a completely foreign concept that only crazy people would want to attempt but after the 10 miler I was drawn to the distance and wanted to give it a try. Mostly what I learned is it takes a lot of time to train for a marathon and you need to have the support of your family. There is a ton of running wisdom in the local community and I reached out to as many people as I could, taking bits of philosophy from everyone. Putting it all together with what felt right to me as I trained kept me optimistic that I could do it, and lots of encouragement from my family and other runners kept me motivated to try. You’ve had back surgery in the past. How hard did you work at physical therapy to come back from that and do you still have to work on things like that (core strength, etc?). How does that injury affect your running and fitness, if at all? I had back surgery several years ago after 2 years of dealing with the discomfort. Since then I do whatever I can to keep from repeating that experience. It took 3 years to get my physical strength and confidence back. Running and all the stretching that goes with it is the best way I have found to keep my back and core strong. I also swim and hit the gym to help stay fit but the majority of my exercise is running. I know many people with back problems are not able to continue running but for me it is when I am most comfortable. You’ve run in high school. You’ve run a marathon. You’re a busy man with two young kids. What keeps you running now? Today my running is motivated by my desire to stay healthy for myself and my family. It also is a time for me to decompress mentally. If I can carve out an hour 3 times a week it makes all the difference in the world in my attitude. I also enjoy the feeling of just being out there, whether it’s running through Old Trail or up through the mountain trails, it’s all good as long as you can just get out and run and relax. Thanks Donovan! Great information we can all relate too – listen to your body, reach out to others for wisdom, take care of your body, and run to relax! Words of wisdom! JA: Hometown? AS: I was born and raised in Hagerstown, MD. However, I’ve called Richmond home since 1999. How old are your kids? We have three girls, Emma (8), Maggie (7), and Janie (5). When did you start running? I actually remember the first time I went running for exercise. I think I was about 12. I didn’t have any proper running shoes but had heard about the Olympic marathoner who ran barefoot, so I just went out and ran a mile in my bare feet. My next door neighbor was HORRIFIED and told me I’d ruin my arches, but I like to think I was just 20 years ahead of the minimalist running trend! 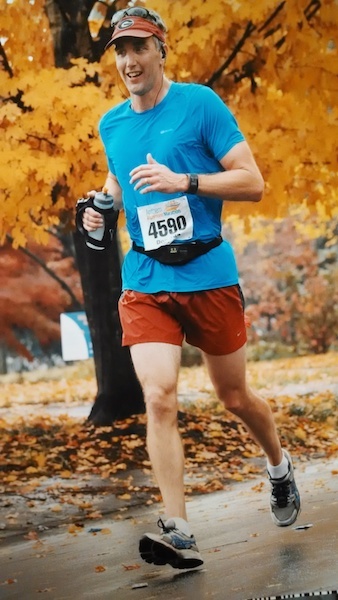 I ran my first 5K in 1996 at age 20 and thought I was going to die…I was in college, still holding onto the Freshman 15, and had never run more than 3 miles at a time. I liked the idea of running, but as I transitioned from an un-athletic kid to a sedentary adult (with requisite corporate job and cubicle), I thought that being “in-shape” was forever out of reach. In 2001, a few months after getting married, I impulsively decided to run a marathon (still having never run more than 3 miles). I signed up with Team in Training, raised funds for the Leukemia & Lymphoma Society, and completed the Marine Corp Marathon that October. It was a life changer in so many ways. Although I was not a fast runner, and pretty much every training run hurt, I really enjoyed the process and tangible results. I read almost every book by George Sheehan and fell in love with the philosophical side of the sport. Running by the Pentagon just three weeks after September 11, seeing the damage juxtaposed with thousands of American flags, made me realize that we were running for hope, for the future, and for so much more than the finish line. Earlier this year, you shared with me the story of how you got into ultras – you had young kids and read about another mom, Sophie Carpenter Speidel, running ultras while also raising kids? Can you re-tell or elaborate on this? I thought it was a great, relatable story! So in early 2011, my youngest child was 18 months old, and I was finally able to get some time to myself in the mornings. I started to run again, and surprised myself with a 10K PR in March. Throughout the summer I built up my milage and began to secretly train for the Richmond Marathon…my first marathon in nine years! I stumbled upon Born to Run and loved the story. It referenced the JFK 50 miler – the oldest ultra in the country – which happened to be in Washington County, MD right where I grew up. While tapering for Richmond, I watched a bunch of YouTube videos on JFK and got totally inspired. Keep in mind I still wasn’t sure I’d be able to run 26 miles, let alone 50! However, I had a great race which qualified me for JFK. But there was still a problem…for the most part I’d never run on trails. I didn’t know anyone who did. I signed up for Holiday Lake because my friend Kelly was running it, and then I did what I always do…I went out and found a couple books on the subject and started reading up. One of these was “Breaking through the Wall”, a collection on essays on Ultrarunning. The very first essay was by Sophie Speidel…mom of three young kids (like me), who ran Richmond in 2001 and then Holiday Lake as her first ultra in 2002. Her words resonated and I thought that if she could do it, maybe I could too. What is the hardest thing about balancing time running with family time? Keeping it all in context. Family absolutely comes first, so I make sure to get my races on the calendar far in advance and that they don’t conflict with major events, sports, or recitals. I “hide” my training from the family by doing most of my workouts during the school day or very early on weekends. I choose my volunteer commitments very carefully. When I’m away for a race, I almost always schedule something fun for the girls, like a favorite babysitter or a weekend at their grandparents’ house. Not only do the girls look forward to that, it takes a LOT of the pressure off of my husband. On the other hand, I think its important for my children to see the work and sacrifices I make for running. They understand that every Tuesday night, Mommy is going to meet her running group, and that some weekends I’ll be running long. Not only does it benefit me, I hope that they are learning that hard work yields results….and can be a lot of fun! Favorite race or trail? Hands down my favorite race is Mountain Masochist Trail Run. I love the distance (50 miles). I love the terrain (rolling gravel hills and mountain single track). I love the time of year (early November – my birthday weekend). I love that it finishes in Montebello, 10 minutes away from our family’s little cabin. But most of all, I love the atmosphere and people. Last year was my first year running it, but I felt like I was coming home. From the pre-race dinner to hanging out at the finish until the last bus left, to the Golden Corral all-you-could-eat breakfast buffet Sunday morning, I loved the whole experience! Why ultras? The only think I like about road marathons is HAVING done them…the actual “doing” part, not so much…With ultras, I enjoy the journey. The trail running community feels like this crazy extended family. I’ve formed long term friendships during races. I’ve seen amazing vistas. I’ve watched the sunrise and the sunset. I’ve run through rain and ice and snow and extreme heat. I feel like I am living life, not just chasing splits or PRs. Every single ultra has changed me in some way. Are your non-running friends surprised when they here you’re an ultra marathon runner? Some of them are! Especially the ones that met me when I was a frazzled new mother. But here’s what surprises me more. When I talk to people now and mention ultra-running, they ALWAYS say “yes, but you’re built like a runner. I could never do that”. It drives me crazy, because I WAS that out-of-shape, over-scheduled person once. I struggled with my weight and made really bad choices. The fact that I now “look like a runner” is only because I gave myself time…weeks and months and years…and committed to small changes. I am a firm believer that ANYONE can do this…it doesn’t matter if you carry an extra 20 or 200 pounds..and I try to be an advocate for this lifestyle. You just placed 4th at Grindstone, your first 100 miler. Can you speak to what gives you the strength and energy to train and race when it gets really really hard? Motherhood! Nothing is as hard as that… a bad day on the trail is still a “day off”. Seriously though, my training is the one thing in my life I can control. My girls are getting to the age where I can’t solve all their problems for them…mean girls, body image issues (in elementary school!! ), competition, academics…the list goes on and it exhausts me. I use my training runs to think through their challenges, critique my parenting style, and organize my brain. Running 100 miles is easy compared to raising three independent, spirited girls! Wow! If that doesn’t inspire you to go out and make a positive change in your life, I’m not sure what will! Thanks Annie for being such a great inspiration!